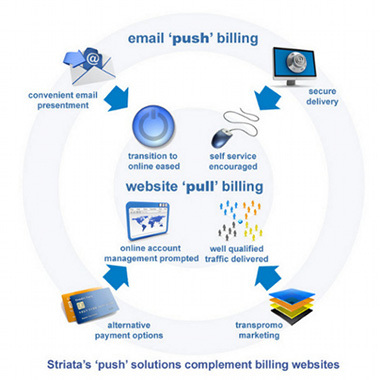 A large wireless telecommunications client of Striata North America recently queried whether they should either give their consumers a choice of getting their eBill delivered via Striata, directly to their inbox (as a secure attachment), or by registering on their self service portal. The answer is simple: You must offer both, automatically, and in such a way that a complex registration process (in fact any registration process) is completely eliminated. In this edition of eBilling Insight we look at 4 strategies to achieve this ‘utopia’ of paperless eBilling. 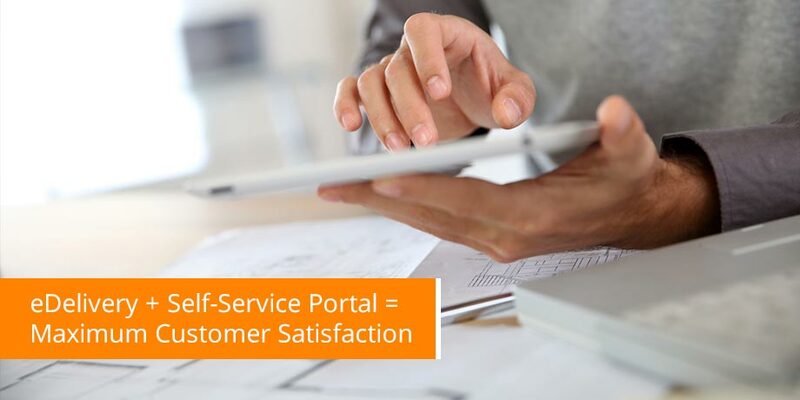 A self service portal provides great value. It allows customers to resolve their own issues and thus reduces contact centre volumes considerably. Most importantly, it enables the ability to purchase new products & services / upgrade with no cost of service. For consumers, the first point of failure is at the registration point. Your registration process may appear uncomplicated to the computer savvy user but is far more complex compared to opening a paper envelope. The result is that the majority of consumers will not go through this process. Driving customers to register also requires expensive marketing efforts. The next point of failure for consumers is that many constantly forget their usernames and passwords. This results in unnecessary and expensive customer service calls and unhappy / inconvenienced customers. Failure to satisfy the above means that you will not achieve paper suppression. Furthermore, the majority of self service portal users worldwide are ‘double dippers’ who still get your paper bill. Again, 75% (or more) of your customers will not be registered users yet and so, will continue to receive a paper bill. As a side note: Forcing your customers to ‘go paperless’ as a pre-requisite for portal usage will deter a large percentage of potential portal users defeating the entire objective of the strategy. Gather your customers email addresses at all customer touch points, including your website. Simply ask for three fields: Name, Unique Customer Identifier and Email address. Deliver an intelligent opt-in eConsent email allowing the consumer to agree to go paperless with just one click. No registration required, no selecting a username and password. Attach a sample bill to the eConsent email. Do not link back to the bill on a website, this simple extra step will halve your adoption. Once the consumer has ‘opted-in’, they are paperless. Deliver your customer’s bill via email every month as a securely encrypted PDF email attachment that they can open and view with just one click and on any device, including all email capable mobiles. Upon gaining this eConsent, automatically register them on your self service portal and assign them a password that is the same as the ‘shared secret’ used to protect their email attached eBill. In the email eBill, include various links back to your portal for additional functionality like a history of past bills, call analysis, upgrades, accessories etc. If required, ask them to update their password at their first portal visit. And there you have it – a paperless customer, using your self service portal without the barrier of pre-registration and without the marketing costs of driving them online. This way you achieve all of your electronic strategy objectives in a manner that maximizes customer satisfaction and guarantees that you will meet your business objectives.